Tagline He risked his life to save a rat... And what did he get for it? 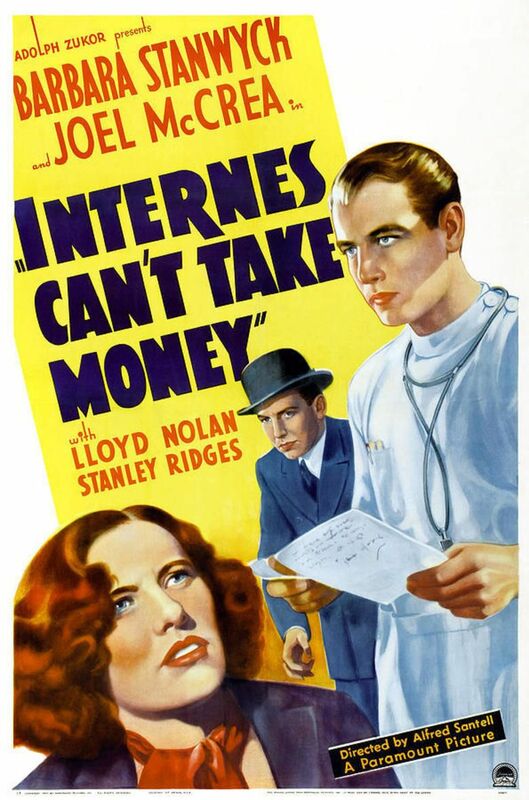 Internes Can't Take Money is a 1937 American drama film directed by Alfred Santell and starring Barbara Stanwyck, Joel McCrea, Lloyd Nolan, and Stanley Ridges. McCrea portrays Dr. Kildare in the character's first screen appearance. Metro-Goldwyn-Mayer continued the Dr. Kildare series with Young Dr. Kildare (1938) starring Lew Ayres as Kildare and Laraine Day as a nurse in love with Kildare, similar to Stanwyck's role in this film. 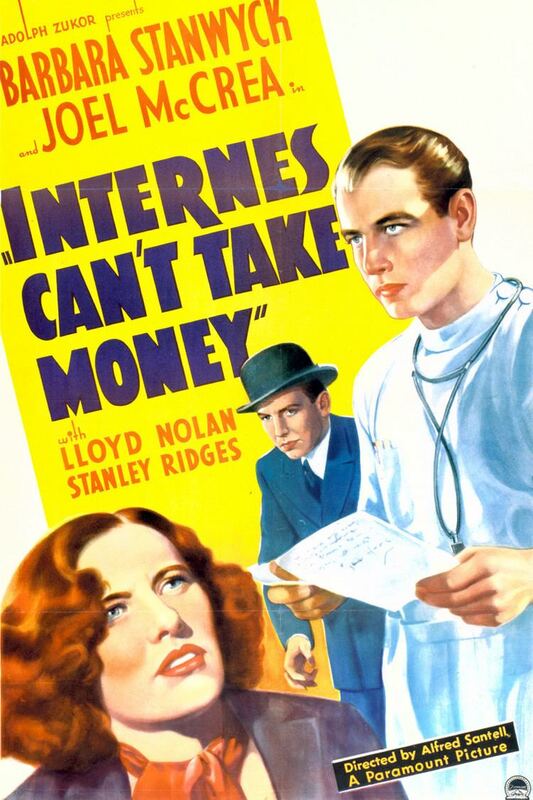 The film was released in the United Kingdom as You Can't Take Money. The plot focused on Dr. Kildare's attempt to help a young female ex-convict (played by Barbara Stanwyck) locate her child.